Virtual phone systems, also referred to as voice over internet protocol or VoIP, exist to connect business professionals without requiring landlines from both parties. These platforms perform phone and/or video calls through an internet connection. With virtual phone systems, international contacts and connections can communicate without barriers, although there’s not much to be done about the time difference. G2 Crowd’s verified user reviews provide insight into which VoIP providers are ringing off the hook. 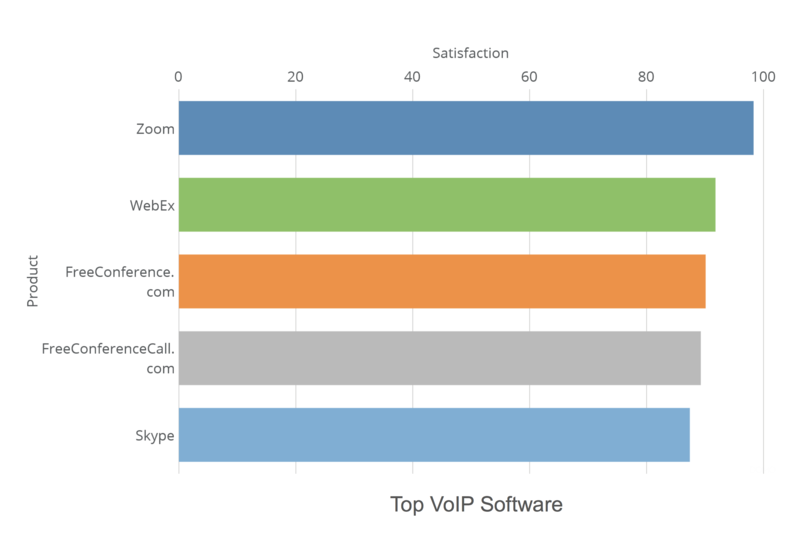 Zoom, Webex, FreeConference.com, FreeConferenceCall.com and Skype are the virtual phone systems which currently have the highest satisfaction ratings. As a bonus, all of the platforms on this list have a free VoIP plan option offered by the vendor. Zoom has the highest satisfaction rating out of the five aforementioned products, coming in at 98.24 percent satisfaction. Zoom’s profile boasts a rating of 4.6/5 stars in a pool of 1,427 reviews, 375 of which are solely dedicated to VoIP features. Zoom has a plethora of VoIP features such as audio calls, video conferencing, and scheduling, with conference calls rating the highest at 95 percent satisfaction. Hold music was rated the lowest, with 82 percent satisfaction. Features: Zoom has features such as Zoom Rooms, video webinars, business instant messaging, and a developer platform. See an expansive list of Zoom’s features and how users rate them. Pricing: Zoom has a free, basic offering that allows users to video call for up to 40 minutes at a time. Its pro tier is $14.99 per host, per month. Its business tier, targeted for companies needing 10 or more accounts, is $19.99 a month. Its enterprise tier targeted toward 100 or more host accounts is also $19.99 a month. Check out more pricing information on its G2 Crowd profile page. Integrations: Zoom has integration capabilities with Slack, Salesforce and Skype, to name a few. View a more extensive list of its integrations on their website. One reviewer also said the customer service response is quick, which is needed for a conferencing solution. Other reviewers warn of the bandwidth necessary to host a Zoom video conference. Others, still, have found it completely changes the way they do business. Webex is second on the list of VoIP products with a high satisfaction rating. This product has 4.1/5 stars on its profile in a pool of 1,340 reviews, 283 of which are attributed solely to the VoIP category. Features: Webex has common VoIP features such as recording, instant messaging and conference calls. See an expansive list of Webex’s features and how users rate them. 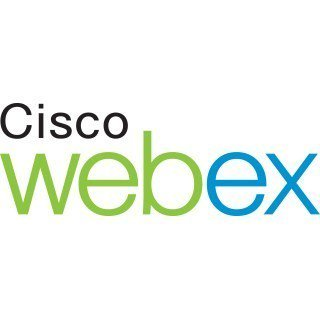 Pricing: For up to eight people per month, Webex costs $19/month. For up to 25 people, the cost is $29/month. For up to 200 people per meeting, it’s $29. Annual subscriptions are available. For more pricing information, view the product’s pricing page. 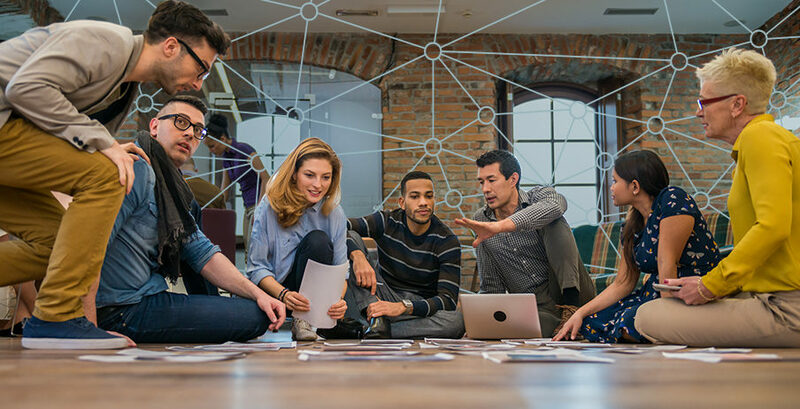 Integrations: From review data, we can determine that Webex integrates with products such as Microsoft Outlook, Cisco Spark, Jabber, Marketo and Pardot, to name a few. For more integration information, users should contact the vendor. 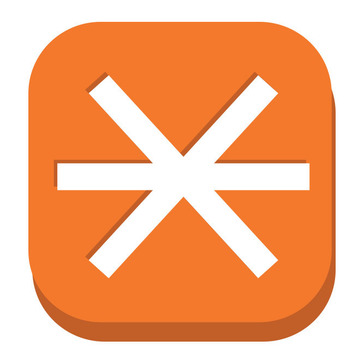 One reviewer wishes they could give complete screen or conversation control to a Webex participant, and also wishes they could share multiple screens. Many reviewers cite the ease of communicating with contacts, internal or external, who cannot physically be present. FreeConference.com’s profile has 4.7/5 stars from 63 reviews, 50 of which are attributed solely to the VoIP tools category. This product focuses on offering affordable solutions to companies regardless of size or location. One user says FreeConference.com has helped them organize conferences with users even when they lack internet access. Another reviewer is grateful to avoid the cost of long-distance calling to contacts overseas. Many reviewers applaud the quality of the product at an affordable rate. 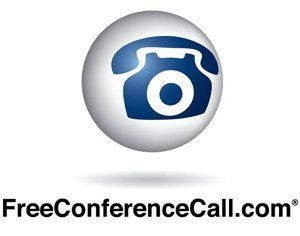 Features: FreeConference.com has features such as free conference calls, free video conferencing, free screen-sharing, toll-free dial-ins and mobile apps. To see what users say about its features, visit the FreeConference.com features page. Pricing: FreeConference.com is free for unlimited conference calls with up to 400 audio participants in a specific call. Its Starter package is $9.99 a month, and its Plus package is $24.99 a month. Its Pro plan is $34.99 a month. For additional details, check out its pricing page. Integrations: From review data, we gather that FreeConference.com integrates with Ryver and popular email providers such as Outlook and Google. To inquire about additional integrations, one should contact the product’s vendor. FreeConferenceCall.com’s profile displays a 4.6/5 star rating with 189 reviews, 119 of which are attributed to the VoIP providers category. Reviewers say the product is simple to use and easy to customize, although some would like an option for file sharing. Many reviewers find FreeConferenceCall.com a simple way to communicate with distant networks at little to no cost. Features: FreeConferenceCall.com provides features such as recording with playback, web controls, and transcriptions with keyword highlighting. To peruse additional features, navigate to their features page. To see what real users think of these features, check out G2 Crowd’s FreeConferenceCall.com reviews. Pricing: While FreeConferenceCall.com offers much of their product for free, certain features are available with a paid subscription. Pricing details are not immediately available and potential buyers should contact the vendor for additional information. Integrations: FreeConferenceCall.com integrates with Google Calendar and Outlook. Additional integration data is not immediately available and potential buyers should contact the vendor for additional information. Skype, one of the more well-known VoIP providers, has 4.2/5 stars with 825 reviews, 495 of which are attributed to the VoIP category. Features: Skype offers Skype to Skype calls, group video calls, instant messaging, call phone numbers and screen sharing, to name a few. An extensive list of features can be found on their website. Insight into user opinion of these features can be found by reading Skype reviews. Pricing: Skype’s pricing plans are not immediately available to non-users and those wishing for exact data should contact the vendor. For user-reported pricing data, visit the Skype pricing page. Integrations: Users say Skype integrates with other Microsoft Office tools, and can integrate with Facebook. They also do not have integration information available on their website, and those with further inquiries should contact the vendor. As you can see, VoIP providers are game-changers when it comes to reach and effectiveness of even the smallest businesses. Check out G2 Crowd’s VoIP providers category and reviews to find a platform that fits your needs.